Children are messy cheeky monkeys sometimes, so it is important for parents to teach them to keep tidy. Our desk has a large storage compartment for storing stationery and all little things. 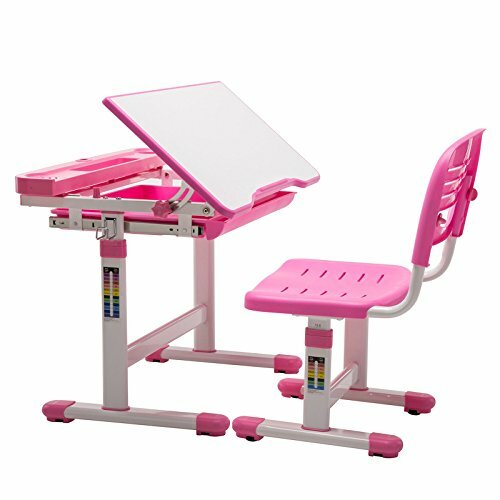 Designed with the understanding of interactions between children and their working conditions, especially in order to improve effectiveness, ergonomic kids desks and chairs promote good posture for children and protect their eyesight. Besides, it can tilt at different angles when reading, writing, painting or even practicing the violin. While children grow and develop physically, ergonomic seating and ergonomic children desks are particularly essential.